Grab the Ready for Battle Basic Tai LARP Sword and prepare to decimate the forces of your enemies! Modeled after traditional Eastern weaponry, this double edged latex-hybrid sword is ready to chop down foes on the LARP battlefield. 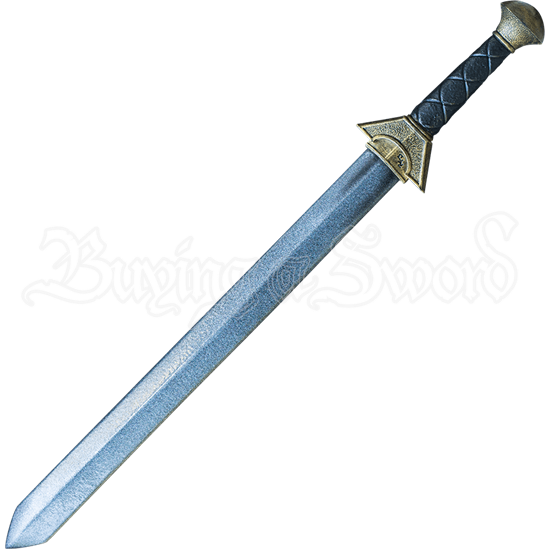 The silver tone blade has a central ridge and a detailed V-shaped crossguard in an antique golden tone. Sculpted and painted to look like real leather, the grip has a crisscross texture down its length before meeting with a rounded, gold tone pommel. Expertly crafted for a realistic appearance, this LARP weapon is made of closed cell foam surrounding a sturdy fiberglass core with Kevlar tip protection. 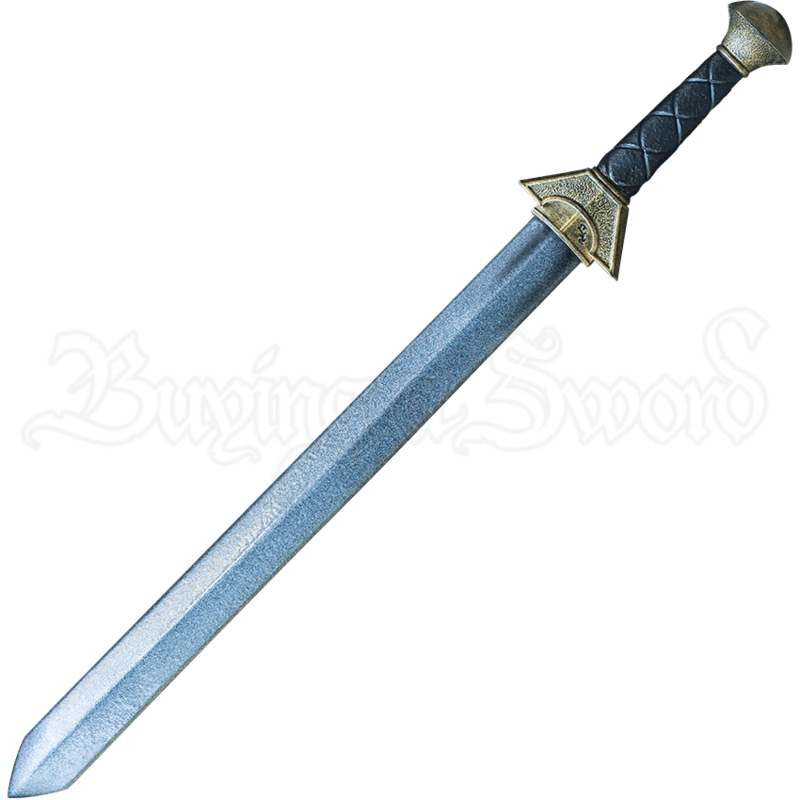 Latex coating provides a strong finish to the blade, helping it withstand the stress of battle.